AdSense is notorious but pretty picky with their publishers and it's not rare to get banned for no apparent reason. If you're looking for a safer way to go or already need a replacement - click the button below to find the best AdSense alternative! See the Best Ad Network! network gain credibility among publishers. Don’t forget to contact us about writing a review of your ad network similar to this one. 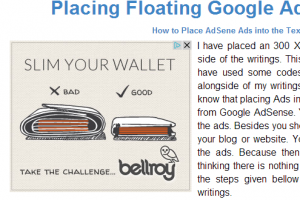 Google’s AdSense network is one of the most popular partners for publishers and bloggers seeking to monetize their sites. The AdSense program is relatively simple for most publishers; once approved, they’ll be able to generate code for a variety of ad units that will then appear on their site. 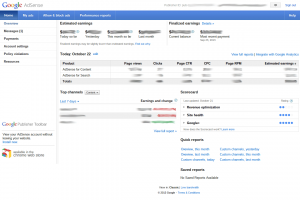 AdSense then begins to serve ads, and splits any revenue generated with the publisher. AdSense offers a variety of ad units; beyond the standard sizes (300×250, 728×90, 160×600), there are another dozen ad types available ranging from the large 300×600 to a 120×90 button. In total, publishers have 15 ad sizes to choose from as well as several different options for link units. In addition to the traditional display ads, Google AdSense also offers publishers the ability to show “link units” on their sites. This alternative type of ad unit appears as a line or lines of linked text. Clicking on one of these links takes visitors to a landing page that generally shows multiple ads deemed to be relevant to the visitor. For example, a visitor to a cooking site may see a link unit that contains terms “Cheese fondue recipes” and “Best cookware”. On these units will be several ads from a variety of advertisers; when the visitor clicks on one of these ads, the publisher (and AdSense) generate revenue. Though often overlooked, link units can be a meaningful source of incremental revenue if implemented properly. 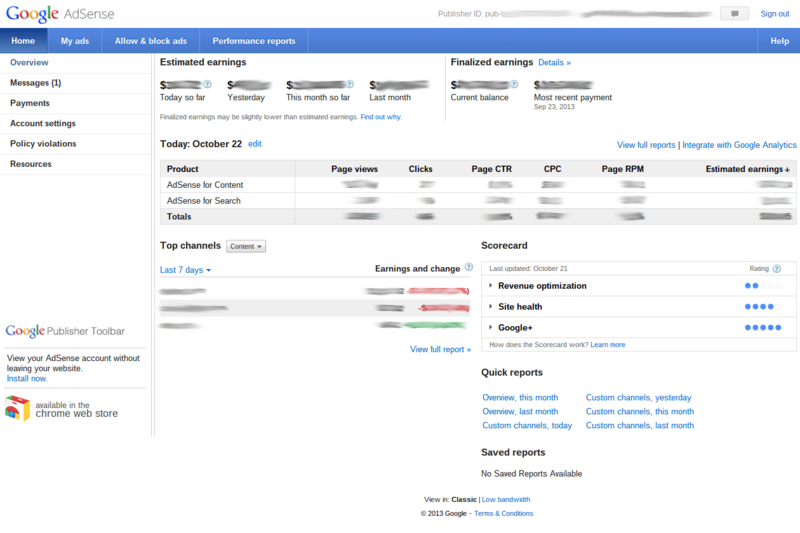 Though some ads shown through AdSense are priced on a CPM basis, the vast majority are CPC ads. As such, publishers are compensated not for showing an ad but when a visitor to their site clicks on an ad. 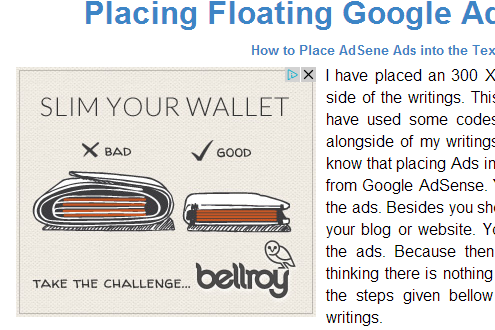 AdSense attempts to maximize the number of clicks on each ad. This is done in part by a contextual analysis; AdSense analyzes the words that appear on the page where the ad is served, and attempts to find an ad for a relevant product or service to serve alongside that content. The sheer size of Google AdSense is one of the biggest draws to publishers; most will have no problem filling 100% of their available inventory immediately. More importantly, AdSense offers a deep pool of advertisers, meaning that the technology can rotate through a wide variety of ad types until it finds a specific category or even specific ad that performs well on your site. With more advertisers available to offer up as potential matches for publishers, AdSense will likely deliver a revenue per thousand pageviews metric that exceeds the vast majority of competitors. AdSense also features a fairly generous payout ratio; publishers get 68% of earnings from Content (the type of AdSense units that account for the bulk of earnings for most publishers) and 51% from Search-related revenue. By comparison, many other networks will offer only a 50/50 split. In addition, publishers get paid relatively quickly; most will have their monthly check within 25 days of the previous month’s end. Once approved, AdSense gives publishers a significant amount of control over the ads that appear on their sites. This includes the opportunity to customize various aspects of the ads, such as the colors and font sizes. Publishers also have the ability to immediately block any advertisers they don’t want appearing on their site (a major plus if you’re simultaneously trying to build out direct relationships) and even fine tune the types of ads that will appear on the site (for example, increasing or decreasing the frequency of ads from the Hobbies & Leisure Category, or blocking those types of ads completely). Publishers also have the option to show image-only ads on their site; this feature may be appealing to publishers who feel that text ads detract from the perceived quality of their property. confidence in signing up to your network. Do you want an ad network review from menetizepros.com?